Steam Sweepers LLC Residential carpet cleaning technicians respects your home and belongings. During walk-through’s, our technicians will take note of fragile furnishings and décor in order to determine the best way to approach each room, including if furniture needs to be blocked, tabbed, or moved. To protect your belongings, we place wall protecting corner guards between our hoses and your wall corners and furnishings. We take steps to protect your wood floors. Our IICRC certified carpet cleaning techs wear vinyl booties to minimize tracking and to protect areas that have already been cleaned. These are some of the steps we take prior to cleaning your carpet. It is very important that your carpets are vacuumed before they are cleaned. We identify the fiber content of your carpeting. 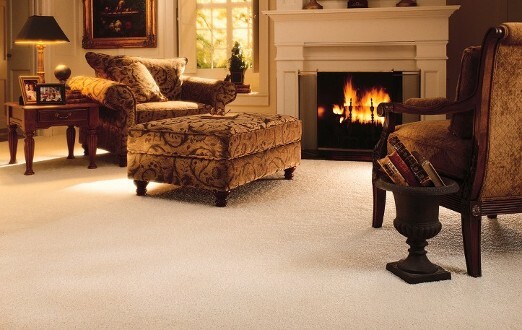 Nylon, polyester, polypropylene, olefin, and wool are some of the most common fibers used in carpeting today. Many carpet cleaners don’t proceed in this manner. Our tech will determine the level of soiling. We classify soiling as light, moderate, heavy and compacted heavy soiling. We choose the best possible pre-conditioning solutions. Engineers design carpet cleaning solutions for the array of carpet fibers that are manufactured. Many carpet cleaners will use the same solutions for polypropylene fiber as they would for nylon carpet fibers, ending with poor results. Steam Sweepers carpet cleaning technicians will identify spots and stains for special treatment. We must determine the fresh water temperature (120*f to 260*f) and pressure settings. The fiber content, level of soiling and desired dry time will be considered when choosing proper settings. After the carpet cleaning process is completed we groom the carpets. This is a pleasing professional finish and allows the carpet to dry faster. All residential carpet cleaning customers receive a free 16 ounce carpet spotter with refills for life!